"Friendly, Quicke & Clean Got The Job Done." "Helpful, Polite, Honest And A Lovely Bloke." 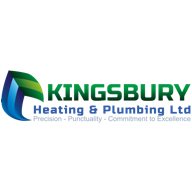 "Communication -Polite -Efficient-Quick Reliable Service"
"Fast Efficient Service Thank You"
Need a Plumber or Heating Engineer in Swindon?